If you want to drive a full-size sedan with bold and iconic style that is sure to turn heads, there is one clear choice: the new Chrysler 300. Drivers will find that the bold yet clean design carries over into the cabin of the 300, which is also exceptionally well-appointed for such an affordably priced full-size sedan. If you want to learn more about the Chrysler 300 and live near Crossville, Sparta and Cookeville, TN, visit Cumberland Chrysler. You can learn more below, and shop our current inventory of new Chrysler 300 sedans in Cookeville, TN here on our website. For the new Chrysler 300, what better place to start than with the award-winning, 292-hp, 3.6-liter Pentastar V6 engine? If you go for the 300S model, you will find that the Pentastar V6’s already powerful output is further increased to 300 horses. Of course, there is always the option to step up to the mighty 5.7-liter HEMI V8 engine, which develops a commanding 363 hp and 394 lb-ft of torque. The HEMI-equipped 300 is the most exhilarating of the bunch to drive, but you simply cannot go wrong with any powertrain choice. An 8-speed automatic transmission comes standard on all new 300 sedans, while an advanced all-wheel drive (AWD) system is available on 3.6-liter V6 equipped models. The Chrysler 300 full-size sedan returns for new in four well-equipped models: the Limited, 300S, and 300C, and 300C Platinum. Perhaps just as entertaining as the thrilling powertrain options are the new Chrysler 300’s interior comfort, convenience, and technology features. Leather-trimmed seating, heated front seats and an 8.4-inch touchscreen display all come standard with every new Chrysler 300. The available heated front and second-row seats will keep you and your passengers warm on those chilly mornings, and the leather-wrapped steering wheel with paddle shifters and audio buttons puts gearing and music controls right at your fingertips. When you are ready to upgrade to a refined and powerful full-size sedan with uniquely American style, get into the new Chrysler 300. Drivers near Crossville and Sparta, TN, can visit Cumberland Chrysler in Cookeville for a test drive of this remarkable sedan. When you end up driving one home, remember that our service department is here on-site to perform any routine maintenance your Chrysler may need down the road. 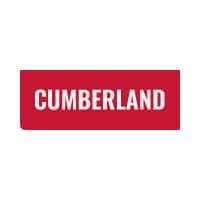 Shop at Cumberland Chrysler today!